- Select Option -Large - 12 in.Small - 8 in. 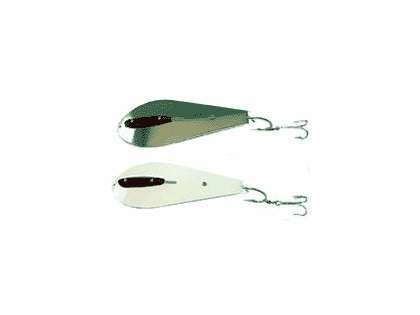 "Equalizer" Bunker Spoons catches Striped Bass and Bluefish. High quality construction, two sizes with adjustable keel. Available in white glossy enamel or electropolished stainless steel. Thoroughly tested. Instructions included. 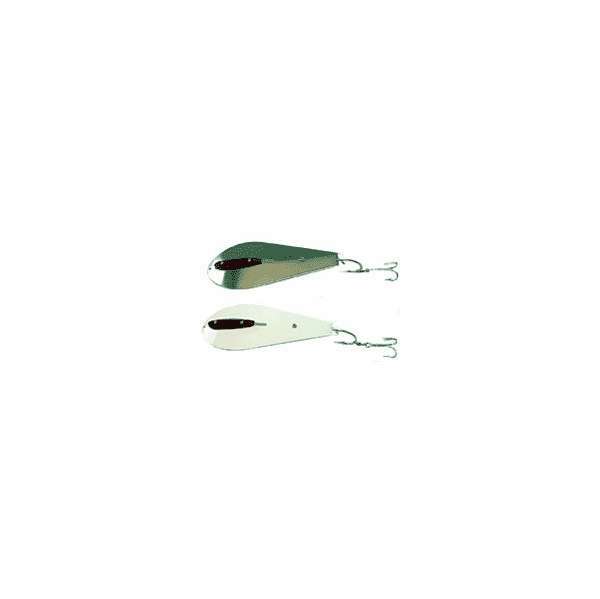 It's a great spoon for trolling in the summer for gator blues and occasional stripers, it catches fish. I recommend it. These is a great alternative spoon for spring trolling vs some of the other popular brands. Very strong and nice movement. I normally just replace the treble hooks for a single stinger hook. do you sell just the hook set ups for these? No unfortunately we do not sell the hook set-up individually.